Wide open spaces. spectacular wildlife, exciting sports, contemporary architecture, adventurous cuisine, intriguing history and diverse culture. Everything you can think of when you hear the word ‘Canada’ all in one state – British Columbia. With a population of about 4.5 million and an area of almost 950,000 sq km that’s a lot of country with a plenty of room for manoeuvre. To be honest, I wasn’t really sure where exactly British Columbia was when I was invited on a Travelator Media trip to #exploreCanada in late spring. A few years ago I had the pleasure of discovering the culinary delights of Montreal and Quebec City on the east coast, and I knew BC was on the other side of the country – that was about it. If you’re not sure either, have a look at this map. We’ll be exploring a relatively small but diverse area at the southern end of British Columbia. First stop is Victoria, historic capital on Vancouver Island. Named after Queen Victoria, it’s apparently redolent of ‘olde worlde Englishness’ in the nicest possible way. We’re staying in the elegant Hotel Grand Pacific overlooking Inner Harbour, slap bang in the heart of downtown Victoria. 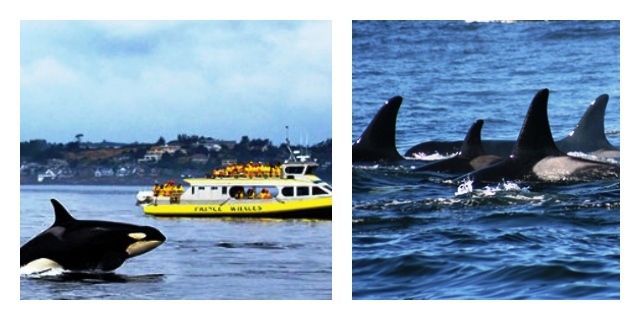 The highlight of our brief visit here will undoubtedly be going out on the Prince of Whales tour in the hopes of seeing orcas, humpback whales, sea lions and eagles. 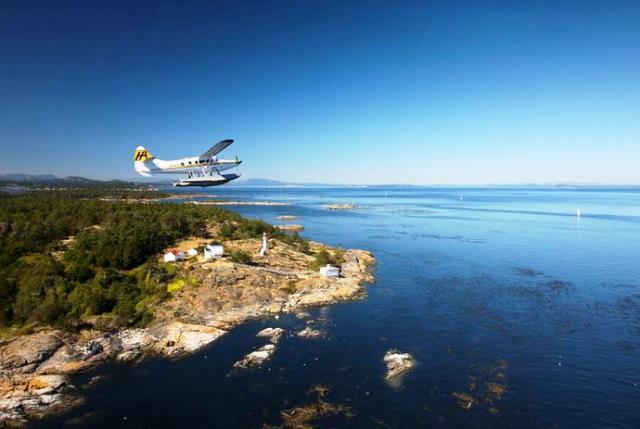 From Victoria we transfer to Campbell River and more sightseeing around Vancouver Island. It’s largest island off the North American coast, renowned for its colourful, quirky villages, superb fishing, tranquil forests and deserted beaches. The climate in this part of the world is temperate and on a sunny hillside in the Cowichan Valley (First Nation for ‘land warmed by the sun’) is Blue Grouse Winery; delighted to say we’ll be sampling a glass or two of their wines along the way. 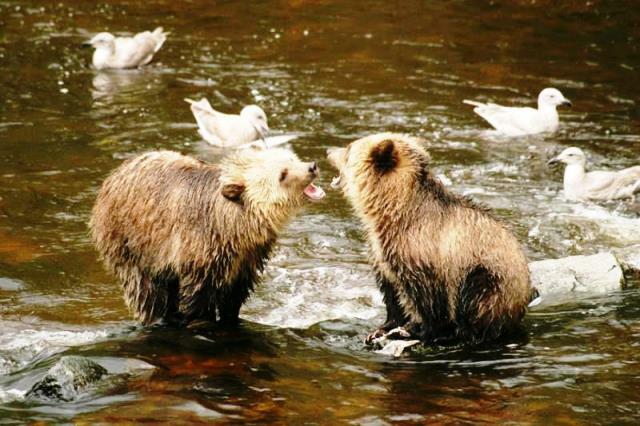 Then comes the main reason for going to this part of the world – we’re going to find BEARS. 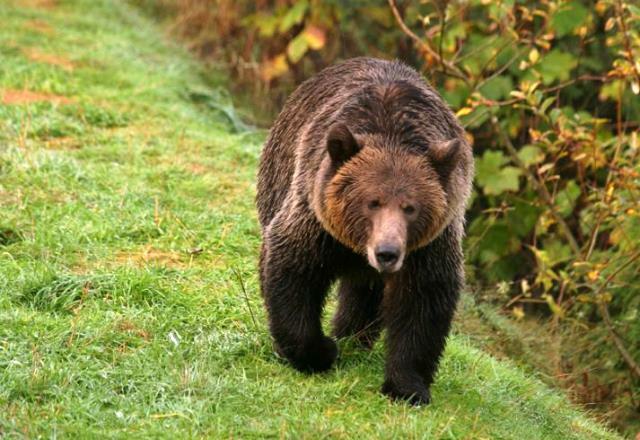 British Columbia has the world’s largest concentration of grizzly bears, as well as black bears and the unique Kermode (Spirit) bears. For three nights I will staying at world-renowned Knight Inlet Lodge where we are almost guaranteed to see grizzly (brown) bears in one of the most remote and spectacular landscapes in Canada. Knight Inlet Lodge is situated in the Great Bear Rainforest on a river platform; to get there we’ll be arriving by float plane. 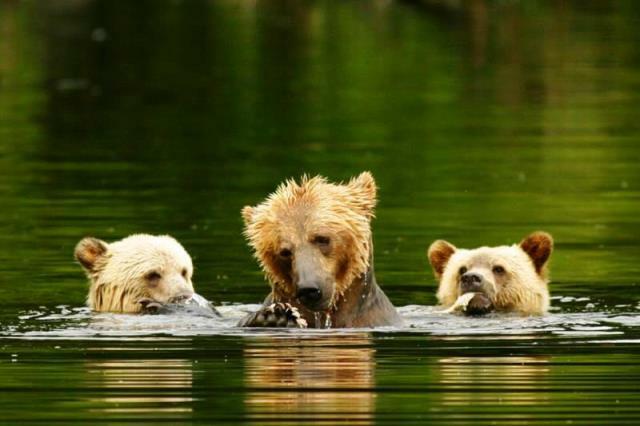 Not only should we see the bears but hopefully bald eagles and maybe pods of orca whales. In spring the grizzly bears come out of hibernation and I’m crossing fingers and toes that there will be a number of bear cubs. It’ll be photography heaven and yes, I’m definitely after the ‘cute bear’ pic! Find out more about Knight Inlet Lodge here – as you can see it is a very special place! With just one night at ‘retro boutique hotel’, The Burrard we’ve got to make the most of our time. I’m looking forward to getting a real taste of the city on a foodie tour of ‘Vancouver’s breakfast, coffee and food truck culture’ – sounds suitably quirky! 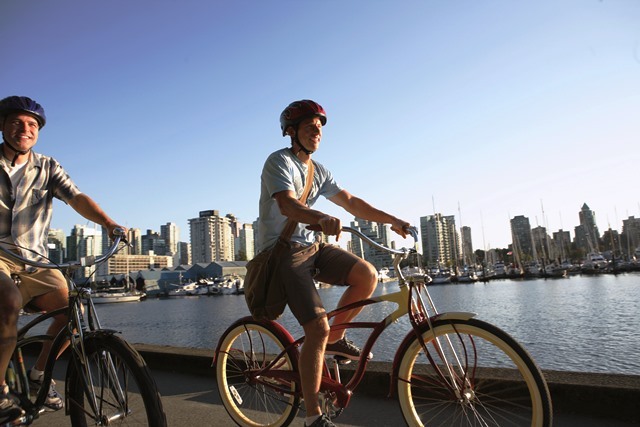 Think I will then need the City Cycle Tour that follows to work off some of that breakfast fare … Our final stop on this whirlwind trip of a lifetime is Sandbar Seafood Restaurant on Granville Island, where we’ll be able to try some of the fresh seafood for which this area is famous. Inspired? Discover more about what Canada has to offer at www.keepexploring.ca Join me from May 29th – June 7th 2015 on my trip to Canada’s two Cities on the Edge of Nature and the Great Bear Rainforest via Social Media including Twitter, Instagram and Facebook with the hashtag #exploreCanada for updates – and lots more. I’ve only ever seen bears in a zoo so can’t really begin to imagine what it will be like to see them in the wild … Can’t wait! Looks like you’re in for a jam-packed trip! My nephew’s wife is from Vancouver (family came from Hong Kong) and they love it there. I now want to go there – your article makes it all so real. Looking forward to accompanying you on your fabulous trip. Have a great time – wish I was going too. I’ll look after Richard THE Canadian bear for you! 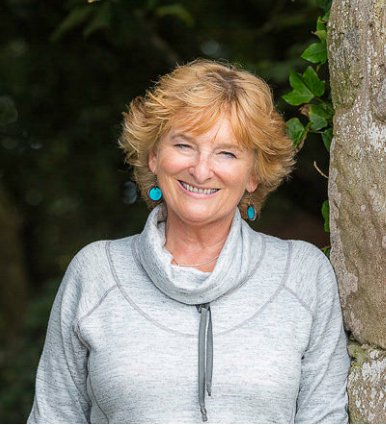 It’s going to be brilliant Kat 🙂 I’m also looking forward to getting some photography tips from you for when we meet those bears! I’m so excited to see your photos and read all about the trip – I really hope you get to see some bears! Thanks Heather – hope I can do it justice! 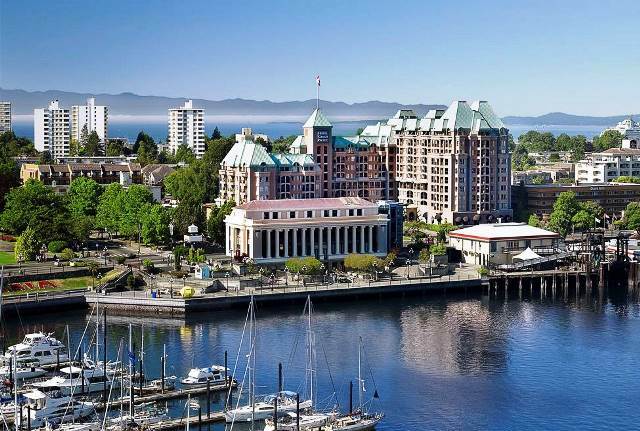 In Victoria at the moment Suzanne, and Hotel Grand Pacific is as splendid as it looks in photo! Really beautiful City – and the sun’s shining Looking forward to ‘sharing’ the trip with you via blog & Social Media. What is the value of culture today?